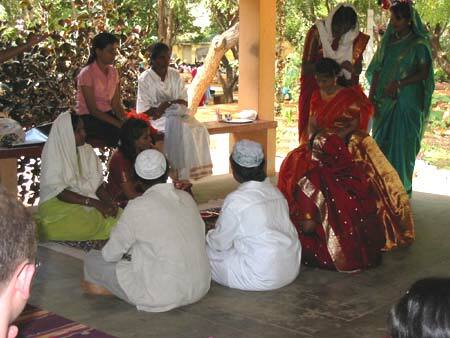 Muslim weddings throughout the subcontinent have developed specifically Asian traditions while maintaining Islamic marriage requirements. The Mehndi ceremony is held at the home of the bride on the eve of the wedding ceremony or a couple of days before it. 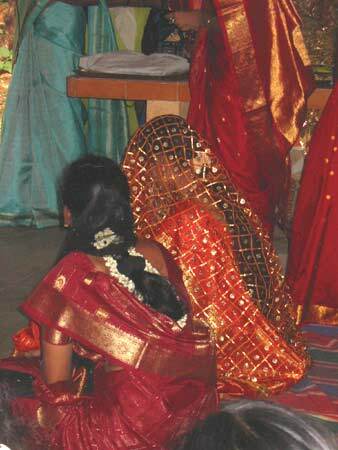 The female relatives of the girl anoint her with turmeric paste to bring out the glow in her complexion. A relative or a mehndiwali applies mehndi on the hands and feet of the bride. The event has a festive feel to it with the women singing traditional songs. The bride wears sober clothes. 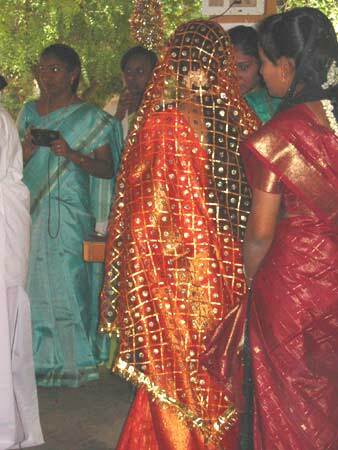 According to custom she must not step out of the house for the next few days until her marriage. The bride's cousins sometimes apply a dot of mehndi on the palm of the groom. The groom arrives at the wedding venue with his baraat. A band of musicians strike up some traditional notes to announce their arrival. The groom shares a drink of sherbet with the bride's brother. The bride's sisters play pranks and slap the guests playfully with batons made of flowers. The Nikaah or wedding ceremony can be conducted at the home of the bride or the groom, or at any other convenient venue. 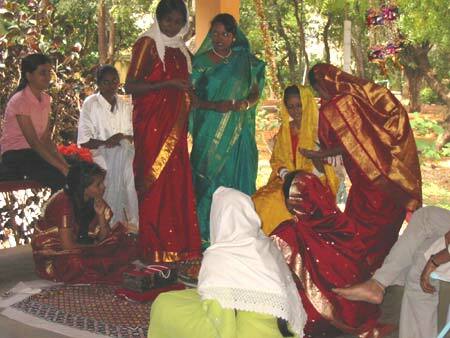 A Maulvi (priest) in the presence of close family members and relatives conducts the ceremony. In orthodox Muslim communities, the men and women are seated separately. 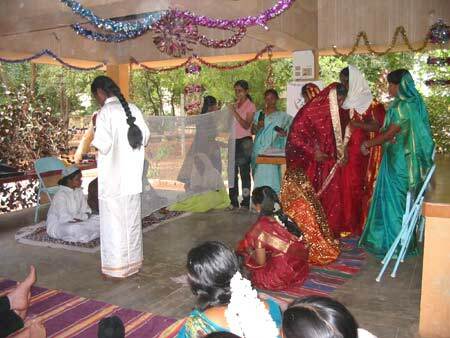 The 'Walis' (the father of the bride and of the bridegroom) play an important role in the ceremony. The Maulvi reads selected verses from the Quran and the Nikaah is complete after the Ijab-e-Qubul (proposal and acceptance). The boy's side proposes and the girl's side conveys her assent. The mutual consent of the bride and groom is of great importance for the marriage to be legal. On the day of the Nikaah that the elder members of the two families decide the amount of Mehar (nuptial gift). 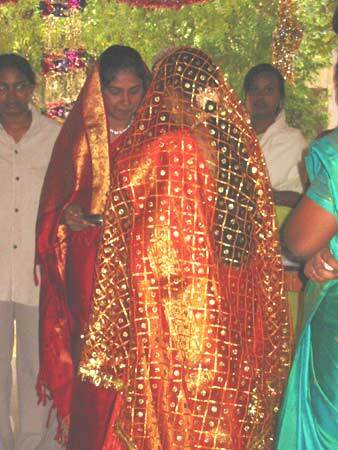 The Mehar is a compulsory amount of money given by the groom's family to the bride. 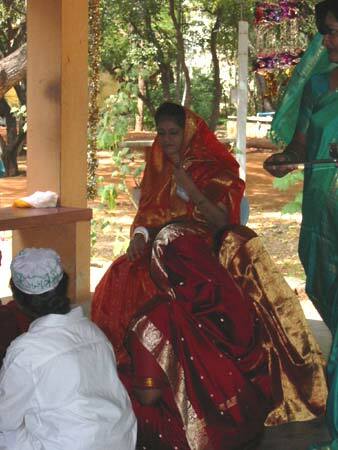 The Nikaahnaama is a document in which the marriage contract is registered. It contains a set of terms and conditions that must be respected by both the parties, also gives the bride the right to divorce her husband. For the contract to be legal, it must be signed by the bridegroom, the bride, the Walis, and the Maulvi. 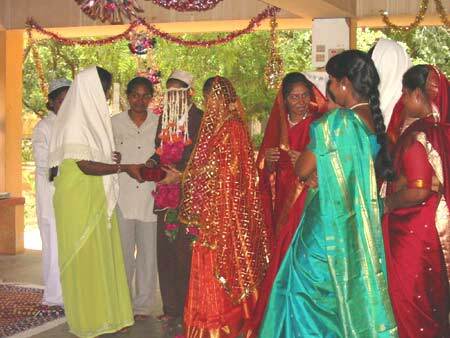 The groom receives blessings from the older women and offers them his salaam. The guests pray for the newly-weds. Dinner is a lavish spread. Usually, the women and the men dine separately. After dinner, the newly-weds sit together for the first time. 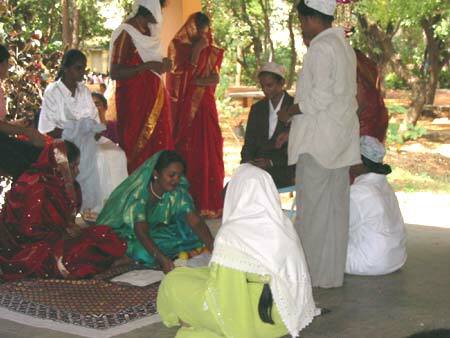 Their heads are covered by a dupatta while they read prayers under the direction of the maulvi (priest). The Quran is placed between the couple and they are allowed to see each only through mirrors. The bride's family bids her a tearful farewell before she departs for her husband's house. The bride's father gives her hand to her husband and tells him to take protect and take good care of her. The groom's mother holds the Quran above the head of her new daughter-in-law as she enters her new home for the first time after the wedding. 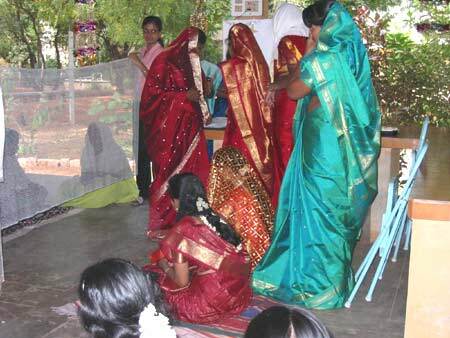 The Chauthi is the fourth day after the wedding, when the bride visits the home of her parents. She receives a joyous welcome on this day. The Valimah is the lavish reception that the groom's family hosts after the Nikaah. It is a joyous occasion that brings together the two families, their relatives and other well-wishers.